Using your company’s services like a customer: your chance to learn and change? In this small suggestion, we see two powerful ideas for any organisation. First, how do we look at what we provide our customers? Do we look at our business from the customer’s perspective or from the needs of the business? How do we reconcile them if they conflict? To that end, how often do senior managers “mystery shop” their own business or competitors for themselves? Second, how well do we learn from the feedback that we receive formally and informally from our service users? One way would be to sample the call centre to see how customers are treated or to use the services offered by their own company or another company to see how it is done. 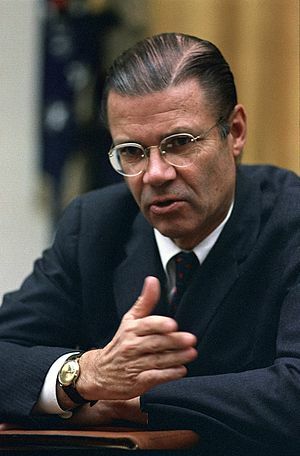 Robert McNamara, before he became Secretary of Defence under John F. Kennedy, was the President of Ford Motor Company. In that role, he used to travel widely to Europe. When he would arrive at the airport, he would always rent a car made by his competitors (at the time Opal). His subordinates could not understand why he would not drive the “free” car offered by his own company. What they did not understand, but he would explain later, was that he was trying to understand what his competitors offered and was personally quality testing their cars against his own. In that small act, he was sending powerful message by showing his commitment to understanding, and overcoming, his competitors. At the same time, he was demonstrating a focus on improving his own product to be better than others. As such, this was not simply benchmarking, but literally experiencing the service offered by others. The same point can be seen in the blog Take a Number where the author visited Lambeth services to get a parking permit. The post is an excellent way that social media can highlight areas of development. The Council responded the next day to the blog. Setting out what had changed and what other options existed. I did something similar when I worked at Starbucks as a barista. I used to visit other coffee shops in the area to see what they were doing. I would order their coffee to compare the taste as well as the service. I am curious about things and I love coffee so the visits were fun and informative. However, some diehards believed that was being “disloyal” or suggesting that the competitor was better. What they missed was the fact that I was trying to find ways to improve and see the service from a different perspective. As Peter Drucker said, you may have 20% of all customers in the market, but that means you also do not have 80% so you had better study the 80% to see what they want. Moreover, the key point of being able to notice ways to improve is to have a way to suggest those improvements so they are implemented. Does your organisation have a global “suggestion box” or something to help capture the learning within the organisation? Without that mechanism, or the empowerment to improve your own service, how do we affect change? One could suggest that a suggestion box or an improvement system is a barometer for a learning organisation. How well does your organisation capture and respond to suggestions to improve from both customers and staff? At the same time, do we use mystery shopping with our services to understand how they work? In that regard, social media, as suggested by Lambeth’s quick response to the post, can offer a way to consider the services we provide from the view of the user or the general public in a similar, if less formal way, that we can get feedback from citizen panels. Finally, it takes senior managers to have the same culture and approach to learning but also to experimenting. They, like Robert McNamara must have the opportunity to see how the other companies in the market are providing the same or similar service for themselves. This entry was posted in change managment, culture, customer service, innovation, local government, management and tagged Peter Drucker, Robert McNamara. Bookmark the permalink. 1 Response to Using your company’s services like a customer: your chance to learn and change?